Tutor Mentor Institute, LLC: School year ending. Learning continues. While this school year is ending the next starts in a few short months. 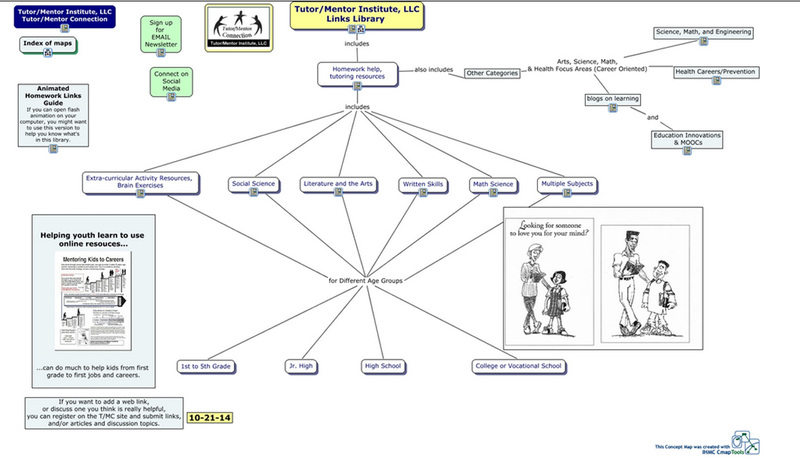 In the time in-between I encourage youth, volunteers, leaders, donors and staff of youth tutor, mentor and learning programs to spend time daily digging through the four sections of the Tutor/Mentor Connection/Institute, LLC web library for ideas that you can apply in the coming year. The library has many sub sections and if you're making your first visit, I encourage you to open and close each section, just to see what's there, just as you would if you were visiting a new shopping mall and looking to see what each store offers. Here's a set of blog articles that include guides to the entire library. One sub section is full of homework help and learning resources. This cMap is a blueprint of what's in this section of the library. If volunteers, staff and students spend time during the summer months learning what's in the library, they will be better prepared to use the information in coming school years. Below is a video that I made to walk you through the homework help section. While this section of the library focuses on academic learning resources for k-12 students, the majority of the web library is intended for adult learning, sharing articles, research, "how to" tips and similar information that people can use to build and sustain well-organized non-school tutor, mentor learning programs in all high poverty areas of Chicago and other places. In addition, articles focus on innovation, collaboration, knowledge management, philanthropy and business involvement, pointing to a wide range of challenges that need to be overcome if youth in high poverty areas are going to be more successful moving safely through school and into adult lives, with jobs and careers that enable them to raise their own children in any place the choose. I add new links to the library weekly. Look at the video to see where you can find what's been added recently. As you find interesting resources use your own blog, social media, web site and other communications channels to share this with people in your own network. I'm on Twitter at TutorMentorTeam and look forward to seeing your posts. If you find broken links please send me a message, using this contact us form. If you want to recommend a link...related to the mission of the library, please send that to me, too. 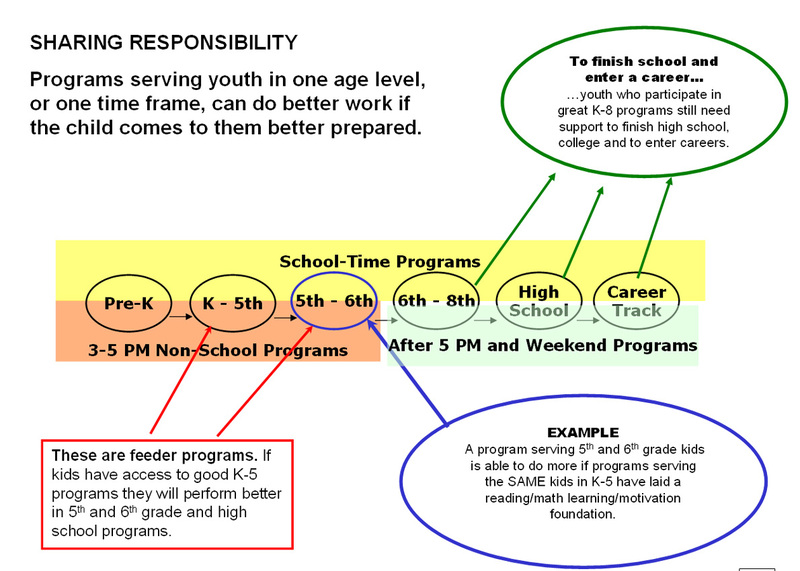 I use graphics like this to emphasize that it takes 12 years to move from first grade through 12th grade and many more years to move securely into a job and career. That means that the information I'm sharing needs to be used by many people, for many years. We've much work still to do!